I hope a hair tutorial is on that list! MAAAJOR hair envy! I'm glad you had a lovely holiday, even if it was a shame about the weather. 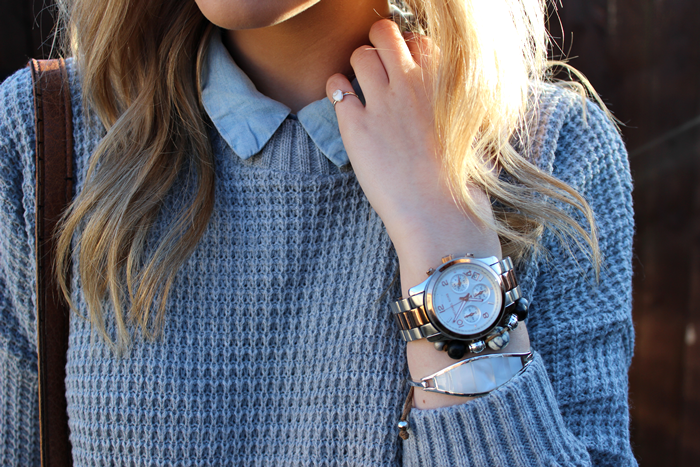 I absolutely love the jumper and even went on the website and now want the black one and grey like yours, so perfect for wearing collars with! You look fabulous darling, I love the denim collar dress - and so budget chic! i love that dress, so pretty! SO CUTE! I love the hat, makes the whole look! Great look. Glad you had a lovely time on holiday - hope you enjoyed the event today! looking really lovely in pastel blues! 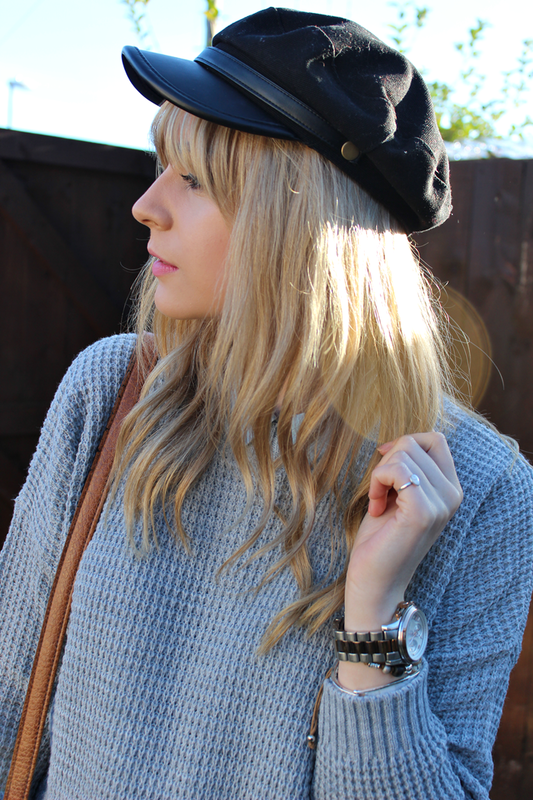 cute newsboy cap and love how you layered the sweater over the shirt dress! I love your style! What do you do to your hair to get the faint curls?